Many big game hunters, hikers and explorers of remote country have come across ancient rock panels that contain mysterious petroglyphs. This discovery may be a single glyph or a whole panel. While the meanings of these writings on rock can be difficult to understand, there is indeed some important meaning. The author from these difficult times of the past, did not simply interrupt the hunting/gathering, survival, escape and evade, activities of everyday life, to spend hours, days, weeks or months to create a panel etched by a hard, hand tool, into a softer substrate, just because he or she was bored with survival! In life or death times, messages left on stone were not casual cartoons or whimsical gestures. They were a part of the important cycle of life, seasons of harvest, fertility, ceremony and death. They were the only way beyond verbal traditions, also known by researchers today as "Oral Traditions", for the sage or parent, leader or clansman to leave instructions important to life and survival. They were for the religious rites, explanations of important events, how to find water, travel routes, food caches, village locations or critical warnings, to name a few. While I cannot prove this idea, I feel confident that there was an unwritten rule about writing on the rocks. Native children did not scratch haphazard graffiti on the rocks. Protective areas that would preserve long-term messages were honored and set aside for the preservation of this important history. Other petroglyphs or pictographs found in areas that are not protective from the elements, ceremonial in meaning or significant in orientation, are most likely, placed as important site indicators. Some examples could be a local spring of water, how to find the medicine man, how or where to go up or down a canyon or many other variables related to the location of the glyph. So it was one day, while surveying, I came across a simple panel with a few glyphs. After scratching my head and looking around, I noticed big deer tracks going up and down a trail just a few feet away. Was this post in stone as simple as a father telling his son or tribe members," The buck on the rock indicates the trail of the deer"? Whatever the meaning it was important enough for the author to spend several hours pecking out a massive buck deer, a smaller buck and a few other symbols on the stone for future generations. Sites like this are important to the over all completion of a historical manuscript that will someday become the Native American Hieroglyphic Language. While no Rosetta Stone of the Native Hieroglyphs now exists, we are fast losing these important documents on rock, to the ravages of time, weathering and vandalism. It is critical that as many of these sites as possible, are located, documented and recorded before they are lost forever...we just never know when one of these sites may become the key to understanding the entire language of the Ancients! 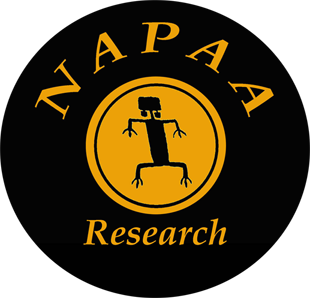 NAPAA, also known as Native American Petroglyph Archaeological Association, is undergoing a critical, time-sensitive, period of, location and documentation, of sites that have not been documented before. Using non invasive, high definition, photographic, and digital video recordings to catalog these hieroglyphics, critical information is preserved. This will facilitate further study of site interpretation as well as preserve this information in perpetuity. It will help bring awareness to the importance of all archaeological site preservation and protection. In time, the writings left on stone, will reveal their messages. Indeed, the rocks will begin to speak! 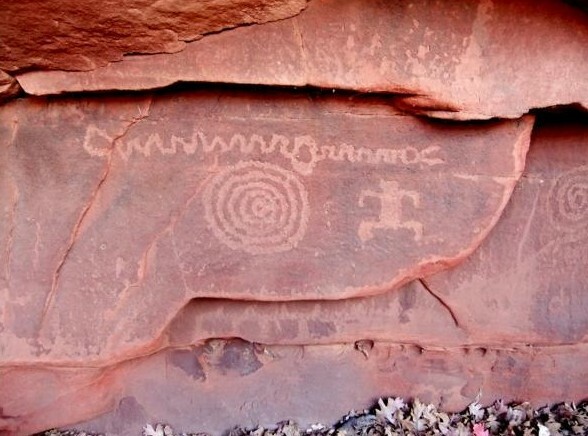 Please contact NAPAA if you have critical information of petroglyph or pictograph sites that may not been documented in the past. Please provide detailed information for locating the site as well as any relevant photographs. Also please state if you would be willing to take a documentation, representative from NAPAA to the site if requested. NAPAA is currently seeking 501 C3, nonprofit status to make your generous donations for this critical research, tax exempt.